Earlier this week I had a small group of children ages 3 & 4 with me outside. They had the entire after school side to them self (very exciting!! ), yet they were all huddled together in the trees. A couple children were around a "fire" they had made while the others were circled around a tree talking. I stood next to the group and looked at the tree as well, but didn't say anything. 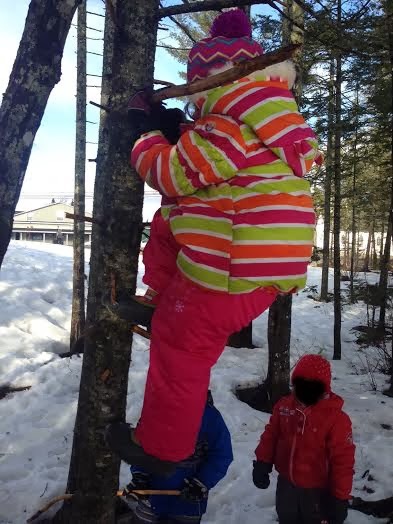 I was impressed how observant they were when I heard one boy say, "Those branches are just like a ladder! We can climb it." I looked, and sure enough there were branches that had broken off and made what looked like perfect steps. "Leslie, can you pleeeeaseeeee help us climb that tree? We'll be your best friend forever." Well, I was not about to turn down a best friend forever so I decided to help the children climb the tree. Before we started, I explained that we could do this activity because I was right here to help, and that it could be potentially dangerous if we did not be careful. 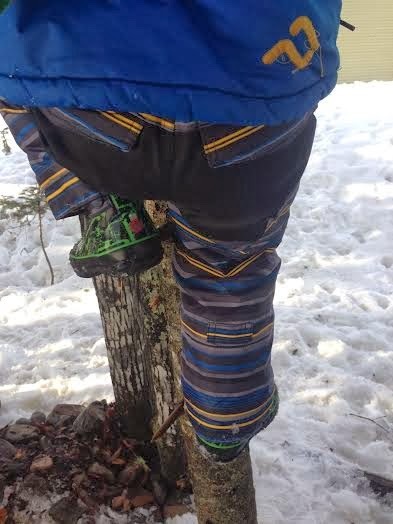 I picked up the first child and he put his foot on the first branch and grabbed on to the higher branches. I kept my hands on his waist as he climbed up the branches. He was so excited and yelled to the children around the fire and said, "Look guys I'm up here in the tree, I did it!" Before he even made it down, I had a line of children looking at me with anxious eyes. The next little girls climbed up, but was nervous. I asked her if she wanted to come down but she said, "No, just don't let me go." I kept my hands on her the entire time and was so proud that not only did she step out of her comfort zone, but she trusted me. She asked if I could take her picture, so I had one of the children on the ground take my phone and take one. When she came down from the tree she jumped up and down and yelled, "I did it! I did it!" One after one, I helped them climb up the tree and we took their picture. Some were more comfortable than others so I asked them if I could take a step back. If I felt that they were able to climb hands free, I stepped back and just spotted. The children cheered each other on and helped tell them what branch they should put their feet next. 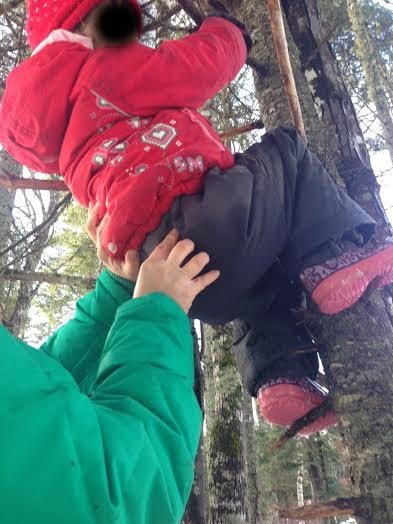 So how exactly are children benefiting from climbing trees? There has always been a big debate whether tree climbing is safe or not, and many centers do not allow it. It is our duty as early childhood professionals to ensure the safety of all the children who are in our care. Our duty also involves providing children with age appropriate risks and challenges to further their development and learning. Parents and child care professionals must spend time explaining what makes certain activities potentially dangerous, and how we can make sure we are safe. When children participate in a potentially dangerous activity it allows them to build their confidence and self esteem. Every time one of the children made it up the tree I knew they had such a sense of pride and accomplishment. Even the ones that did not think they could do it, learned they were capable. 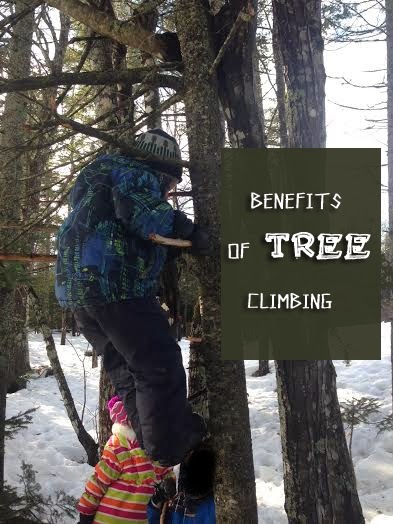 Tree climbing helps build Cognitive Development by trial & error and problem solving, along with Social Development by contributing positively to a group. The children on the ground would help their friend by telling them which branches to avoid and reassure them with cheers of encouragement. 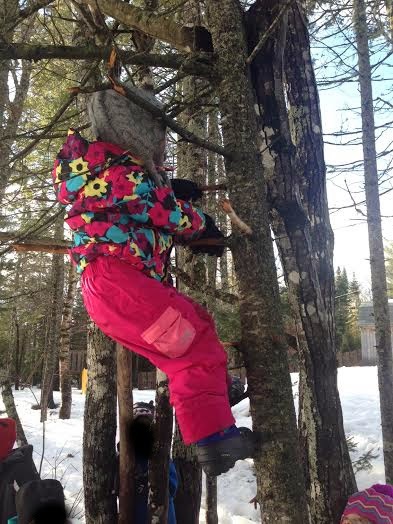 Climbing trees is a perfect example of a gross motor activity as well. Gross motor skills help with body/muscle development, coordination, balance, & promote a healthy lifestyle! The children only climbed about 4 feet off the ground. Every child ate their entire lunch that day! Winning Big with Fruit Loop Poker!